“Still Listening in Kingston” comprises selected works from the 2017 Still Listening Exhibition held at McGill University in Montreal. 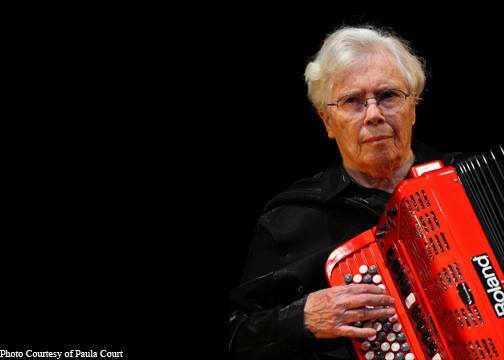 85 works were commissioned by Professors Eric Lewis and Ellen Waterman to honor noted Kingston, NY, composer Pauline Oliveros (1932-2016). The exhibition features a wide array of artistic mediums, along with the ground breaking “text scores” that were vital to Pauline’s practice and philosophy. “Still Listening Kingston” is the second installment of the Kingston City Hall 2019 exhibition schedule. The exhibition has been given new life for Kingston by Deep Listening artists/performers IONE and Lisa B. Kelley. Many of the playful text scores will be performed during the opening reception at City Hall on Saturday, April 6, and the exhibition will be on display until the end of June. A free concert celebrating the exhibition will be held in Common Council Chambers on May 19th, with performances from local and international musicians. Exhibits at Kingston, NY, City Hall are available for viewing from 8:30 AM – 4:30 PM. To arrange a tour, please contact the Department of Art & Cultural Affairs.